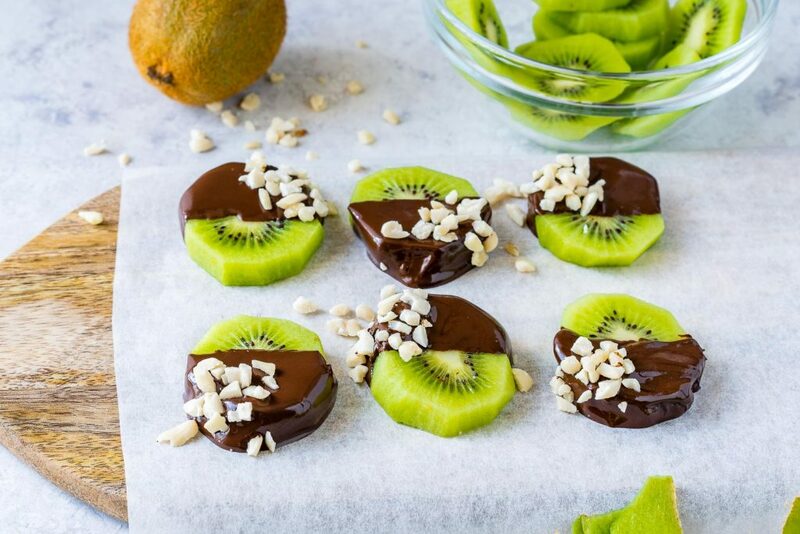 Slice kiwi in about 1 inch thick rounds. 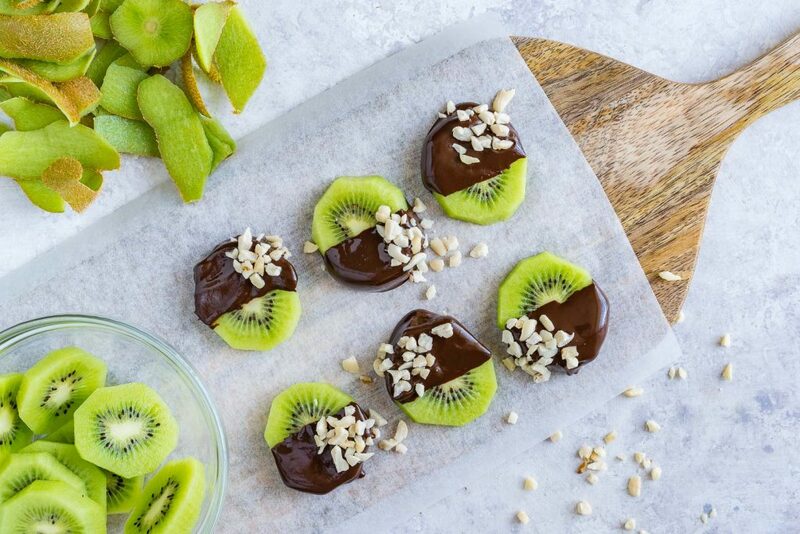 Place the kiwi slices on a plate lined with parchment paper into the freezer. 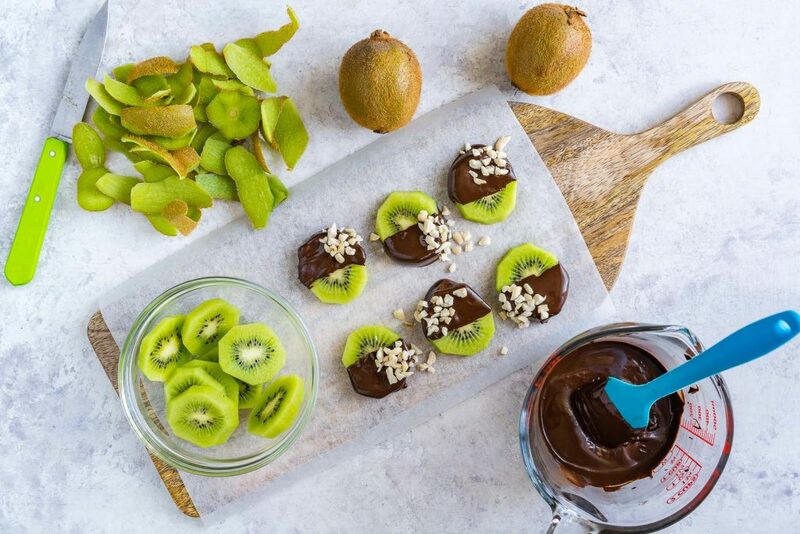 While the kiwi is in the freezer melt the chocolate and coconut oil using a double boiler. Remove from heat when completely melted and let cool slightly. 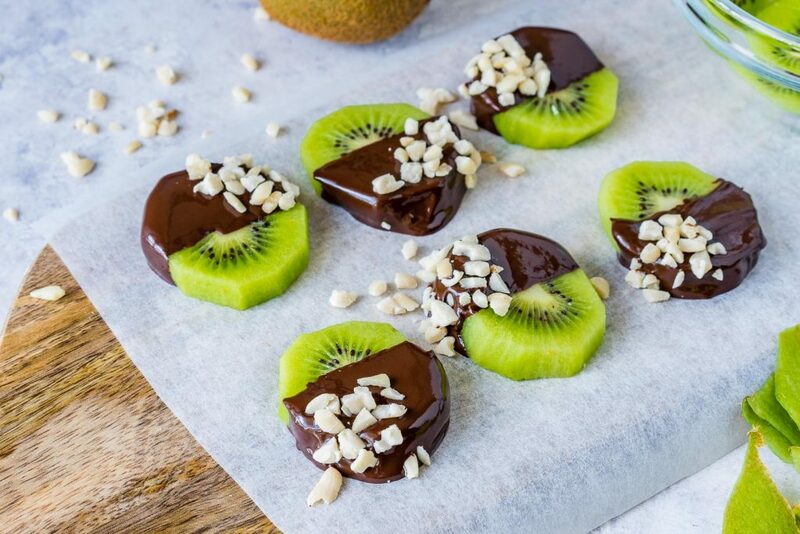 Take kiwi slices out of freezer, and dip half way into the melted chocolate. 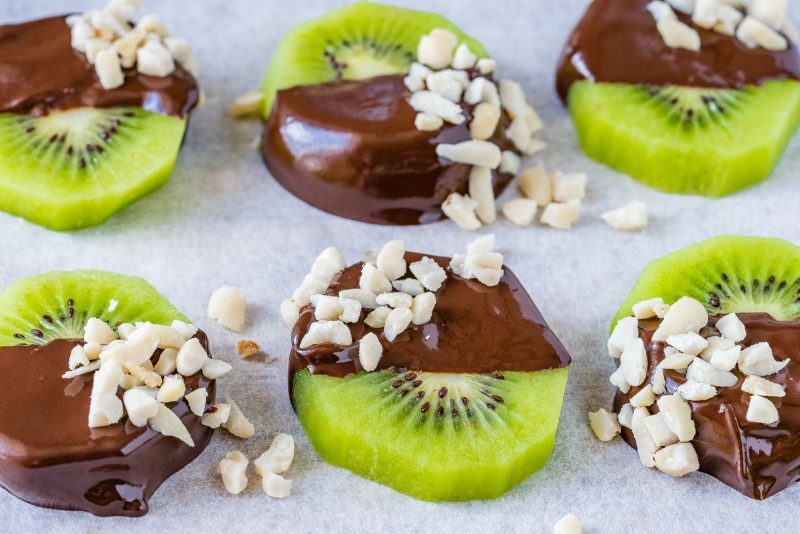 Place back in freezer on parchment paper and let freeze for 15 additional minutes. Place back in freezer on parchment paper and let freeze for 15 additional minutes.Serve.